Whether you’re a seasoned professional or just getting started with makeup, there are very few things more exciting or more helpful than trying out new products. While product reviews and example applications are the go-to for any woman interested in cosmetics, trying products for yourself is the only way to know whether or not to add it to your collection. Companies like Sephora make this process easy, often offering free samples with on-line orders or even limited edition “100 point perks” as part of a reward program. However, while this is a great perk of being part of a rewards program, there are now subscriptions for the sole purpose of trying new products… with a price tag lower than most would think! Below are some of the most popular beauty subscription boxes on the market currently, and the contents don’t just stop at makeup. This may just be the easiest beauty box to personalize. Upon signing up, the customer goes through a short questionnaire that touches on everything from skin tone, type, and eye color, to brand preferences and personal style. For just $10 per month, you receive a monthly box containing travel-sized products based on your questionnaire packaged in a re-usable cosmetics bag. For $12 each month, the experts at Beauty Box 5 will send you 5 handpicked products based on their trials and reviews. While this is a lot less customizable than IPSY, it offers a good mix of skincare, makeup, hair, and eco-friendly brands in the deluxe sample and full-sized products. If nail color and nail care are more your thing, check out Julep’s monthly subscription. Like IPSY, Julep Maven offers customizable subscriptions to fit your nail color needs. This box is perfect for those who want to focus solely on Julep polishes, as Maven does not offer a variety of cosmetic, hair, or skin care products in the monthly subscription. Additionally, these subscriptions can run from $19.99-$39.99 per month, depending on your choice of subscription tier and length of subscription. Birchbox offers monthly subscriptions not just for women, but for men, too! The contents are personalized according to your profile, and each monthly box contains 4-5 items from both niche lines and up-and-comers. The men’s boxes contain grooming samples, also personalized based on the customer’s profile. Also, the men receive a lifestyle product (such as headphones) also hand-picked according to the profile. A woman’s Birchbox subscription will run you $10 monthly, $20 for the men’s. Not into cosmetics and skin care? Don’t worry, there’s still a subscription box for you! Beauty starts from the inside, and filling your body with products that are good for you is a sure fire way to start looking and feeling good! Nature Box offers delicious, natural snacks delivered right to you each month in 5 full-sized products. It’s also completely customizable, allowing you to choose your snacks as well as your subscription type. Starting at $15.95 per month for a whole year, this is the easiest and most delicious way to get great new snacks delivered to your door… and best of all, it offers Nut-free, Dairy-free, soy-free, gluten-conscious, and vegan options to fit any diet! Most of these subscription companies even offer a way for their members to buy full-size items of the products they love the most… some even run members-only offers that can get you discounts on those products! 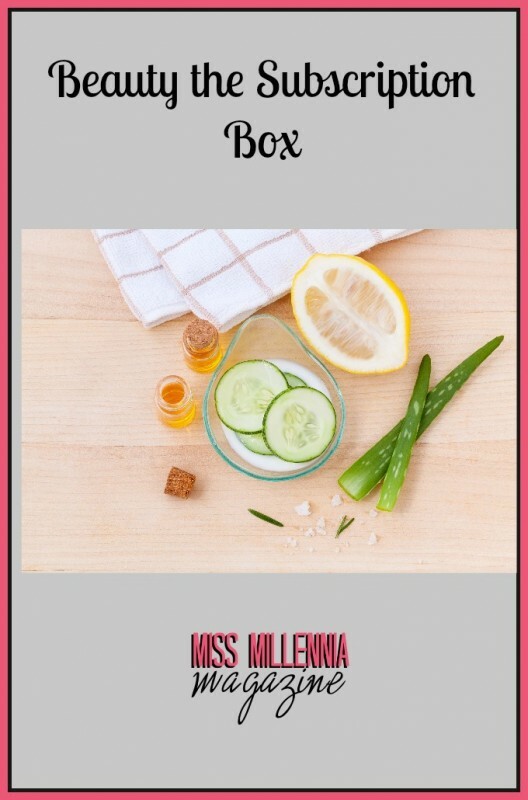 Beauty boxes are becoming the easiest and most popular way for consumers to try before they buy, and for the low cost each month, it’s easy to subscribe to multiple boxes to ensure the biggest variety of products on the market. Whether you’re into lipsticks, haircare, or nail polish, there is a beauty box out there that’s perfect for you!